Almost 30 weeks. How did that happen? Seems like only yesterday is was mid-November and Dave was getting home with the shopping and I could smell the nectarines from the other room; now here we are, in the 3rd trimester and getting scarily close to the business end of things. 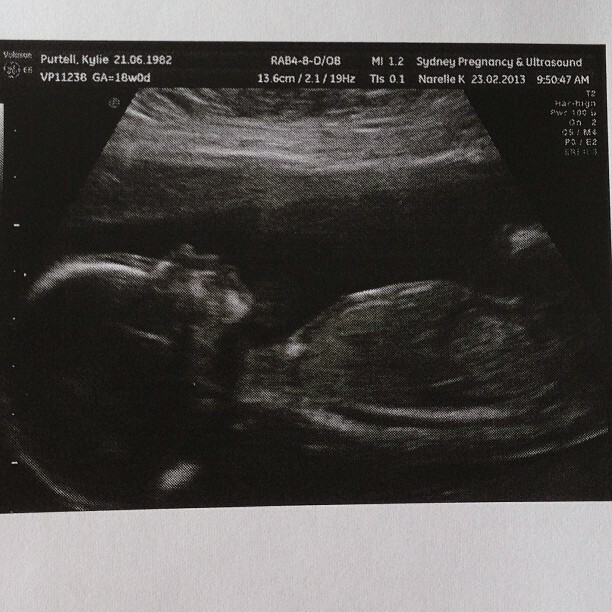 My last (proper) pregnancy update was almost 12 weeks ago and so much has happened since then. 2 hens nights, 2 weddings, an ultrasound, a first birthday party, a blogging conference, a funeral, a glucose test, a lung infection (Dave's, not mine! 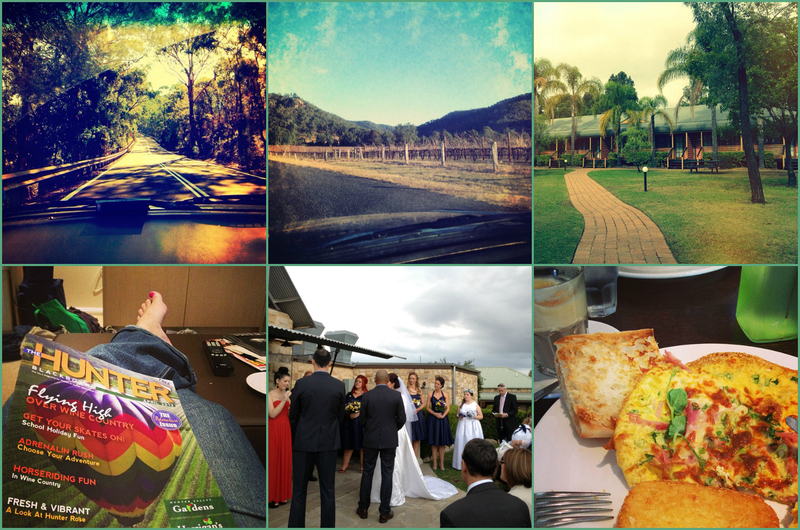 ), our first child-free weekend away since Punky was born, and not to mention many, many, many trips to the bathroom! In my last update I hinted at PJ#2's gender, and if you missed that post I can tell you that we are in fact having another girl! We asked them to double-check last Friday that it was still a girl in there and I am happy to report that yes, PJ#2 does in fact appear to still be a girl! I've been feeling pretty good since 18 weeks, the nausea and extreme tiredness have mostly been absent, although just lately I am definitely starting to notice the tiredness creeping back in. I'm also starting to feel a lot heavier and slower and rolling over in bed is becoming at least a 4 part manoeuvre and something I know is only going to get harder and harder. I may need to hire a crane to help me rise from slumber in the last couple of weeks at this rate! This bub seems to be hanging out a lot lower than Punky did and putting lots of lovely pressure on my groin. The punches to my cervix are a wonderful reminder of the pain yet to come! I'm also feeling it in my hips and lower back a lot more, particularly when the day involves quite a lot of walking or standing up, or sitting down. Basically she's just a pain in the groin. PJ#2 is proving to be just as active as her big sister was, and enjoys putting on a show of an evening and letting her Dad know she is in there. She's gotten the hiccups once or twice but nowhere near as often as Punky did, with her it was a twice-daily occurrence from about 29 weeks on. 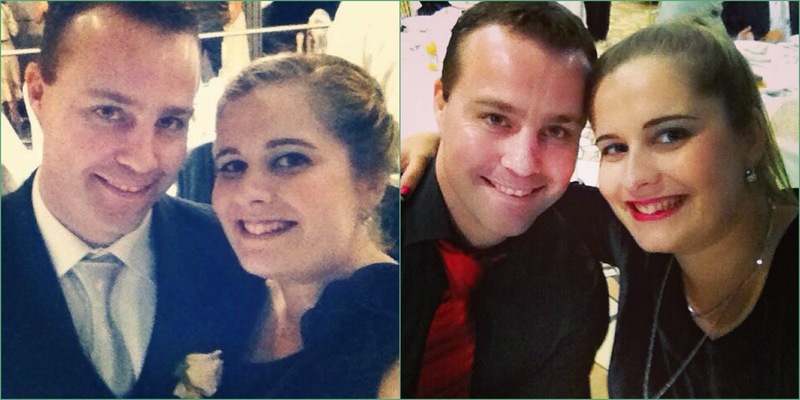 Left: Bridal party duties, nailed! I'm pleased to report that I made it through my good friend's wedding back in March, in which Dave and I were part of the bridal party. My dress managed to last up until the speeches, when I think the pressure of an amazing entree and main, coupled with a dodgy zipper to begin with, saw me literally busting open and needing to be pinned back together! Thankfully the staff at the reception centre came through with a truckload of safety pins and an engineering bridesmaid and good friend were able to squash me back in to the dress! We also just enjoyed a little 'babymoon' this weekend gone, where we headed up to wine country and made the most of our other friend's wedding-weekend. Punky stayed with my sister A for the weekend and had a lovely time, she was thoroughly spoiled (that's what Aunties are for after all!) and we were able to relax and enjoy some beautiful fresh country air and scenery. I mentioned the other week that I had my glucose tolerance test to check for gestational diabetes and the results came back borderline. I was bang on the cut-off, so to be on the safe side they've classed me as GD and I am back to following the diet and checking my blood sugar levels 4 times a day. It's not as bad as last time, that's for sure, mostly because I knew what to expect and I was already loosely following the diet they gave me with Punky. Which seems to be paying off now. We had a growth scan on Friday where they checked the baby's main growth measurements, paying particular attention to the belly measurement (GD babies tend to have large bellies as that is where they store Mum's excess sugar). Thankfully PJ#2's belly measurement was bang on average for her gestational age, unlike Punky's, who at the same stage was measuring in the 95th percentile! So that is excellent news and shows that the GD hasn't had any effect on the baby so far. She ended up measuring slightly below average overall for her gestational age and everything is looking really good so that is a massive relief! PJ#2 is definitely not as much of a chubby bubby as Punky was at this stage! In case you can't tell, that's a 4D pic of bub's face. Having had so much on these last few months we really haven't had a chance to do anything about re-arranging furniture and clearing out bubs room. The room that PJ#2 is going in is currently being used as an office and general dumping ground, so in order to find a place for the desk to go we need to get rid of some of the furniture in the rest of the house. I am really not looking forward to having to condense so much stuff and getting rid of a lot of books to accommodate everything, but I am looking forward to it all being done so that we can start decorating the room! I've decided to paint the walls a pale pink, as its quite a small room with not a huge amount of natural light, so pale walls will help with that, and I am going to use the green we have in Punky's room for the accents. I've got a few bits and pieces to use for wall art that I didn't end up using in Punky's room due to lack of wall space so that will save some time and money looking for stuff. We do have to have one trip out to Ikea to look for a new bookshelf to match the TV unit so some of the stuff we need to consolidate will have a place to live, and so I can get a cool light fitting for PJ#2's room like we have in Punky's. I'm looking forward to that trip a lot more than Dave is! 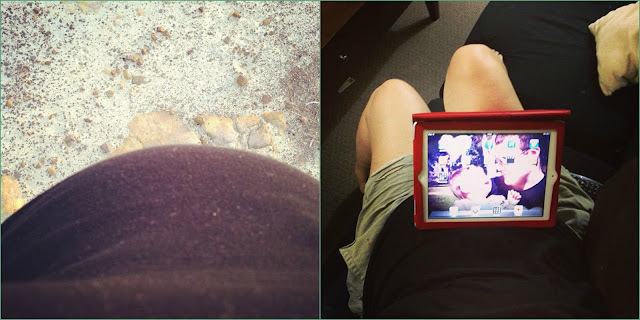 Right: The bump certainly comes in handy for propping up iPads! So that's where we're at right now. Everything is going pretty smoothly. Despite the aches and pains I am enjoying being pregnant and feeling my little munchkin wriggling around in there. Although I am already very much in love with this little one, I am starting to wonder, when I look at Punky, how it's possible that I'll be able to feel the same kind of love that I feel for Punky for another person. I know its possible when I look at my Mum and MIL and my friends with more than one child, but its a strange thing to comprehend. I'm nervous about how Punky will react to the new addition once she is here, she doesn't really have any recognition of what is going on, although I think she has noticed that my belly is getting bigger. We talk about the baby in Mummy's belly but I'm pretty sure she has no clue what we are going on about, and the ultrasound pictures we've shown her probably just look like a mass of black and white to her! 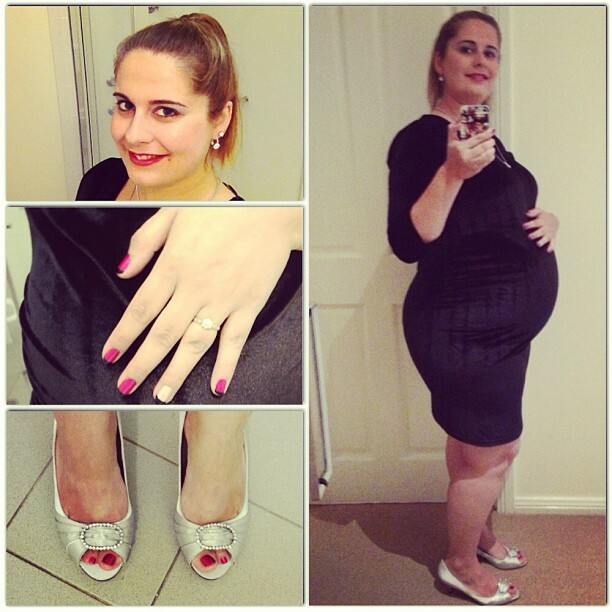 How to dress a baby bump for a wedding, Purtell-style! So anyway, if you've made it to the end of this massive pregnancy update, thank you for sticking with it! I will endeavour to update a few more times before PJ#2 makes her grand and hopefully quick and on-time entrance in to the world. Linking up as always on a Tuesday with the essentially bloggeriffic Jess for IBOT! Glad you're doing well! Pregnancy is wonderful but still pretty tiring. Oh my where has time gone? You're in your final leg of the pregnancy already! You look stunning in that black dress for the recent wedding. All the best for the rest of the journey. Can't wait to see PJ#2! You are looking FABULOUS!!! :) Can't believe how time flies through the 2nd pregnancy!!! My lil man was 2 on Sunday and I was like ... where the hell did that go! Wow, that has gone -fast-. You have been through so much in such a short time, and still manage to do it all looking amazing! Oh I'll be hoping for a nice quick entry for you! Thanks for the update (finally - haha!). Glad all is going well! Time just totally flies second time round, hey?! Eek! Enjoy the last 10 or so weeks! Yay for baby-moons! Looks like it was a beautiful spot. Oh I can not wait to see pics of this new hubby!! Look at you, bumpalicious mama! Is it weird that I'm so so excited for you? Naw, Kylie...I was smiling the whole way through this post! Look how gorgeous and radiant you look!! Man, time has flown, hasn't it? Can't believe you're in the home stretch!